Award-winning exhibits designed to inspire and engage your audience. We find the right trade show booths for your brand. Custom trade show booths, modular rentals, hybrids, portable displays...Which display option would be best for your company? 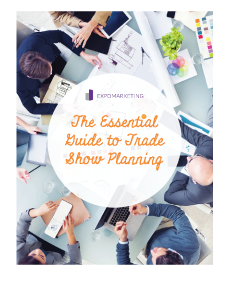 Does it make more sense for you to purchase or rent a trade show exhibit? It can be confusing to figure out what the best option is for your company. Let ExpoMarketing help you find an exhibit solution that will best fit your brand needs. 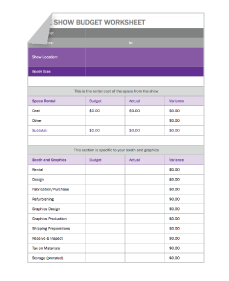 To get started, fill out our needs assessment form so that one of our trade show experts can do a detailed analysis on your trade show program. Custom-built to your specifications, our innovative designs bring your imagination to life. 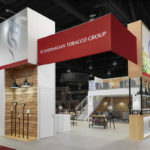 Our team of exhibit designers and engineers will work with you to design a unique brand experience that connects with your audience. 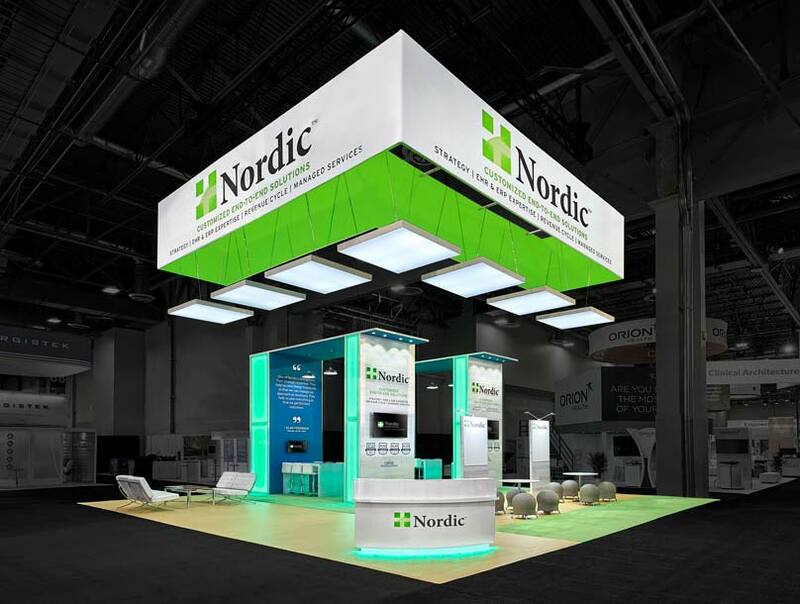 These impressive exhibit structures are sure to turn heads on the trade show floor. 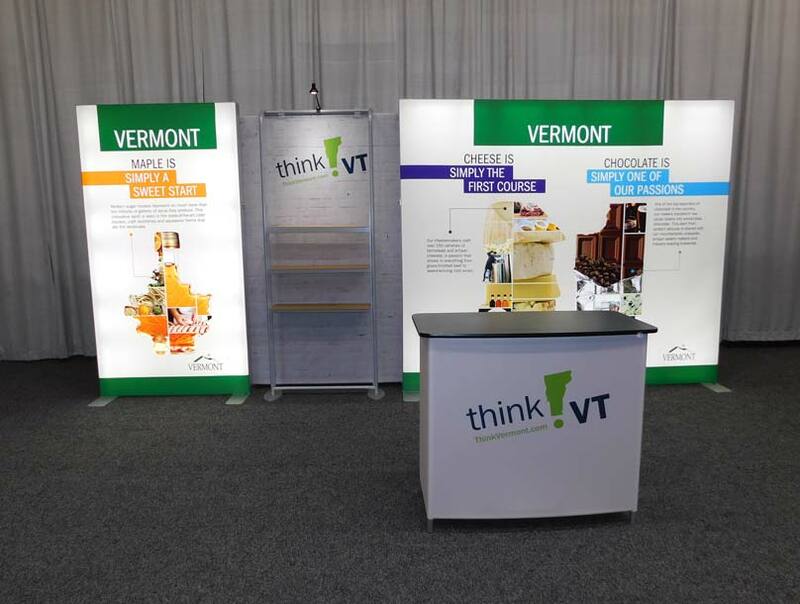 Our custom trade show booth rentals come in all shapes and sizes. We offer conference rooms, towers, reception counters, work stations--the design options are limitless. Our design team will work with you to create a customized exhibit experience with all the allure of a custom built exhibit for the price of a rental. Our portable displays are light-weight, come in unique shapes, and are easy to set up without any tools. These tension fabric structures allow you to captivate your audience without burdening your trade show budget. Our trade show displays feature vibrant graphics printed on the highest quality fabric with a wrinkle-free finish. Even a modest-sized trade show exhibits can be exciting and engaging. Our inline exhibits are customized to project a sophisticated image with all the bells and whistles of a larger tradeshow booth. 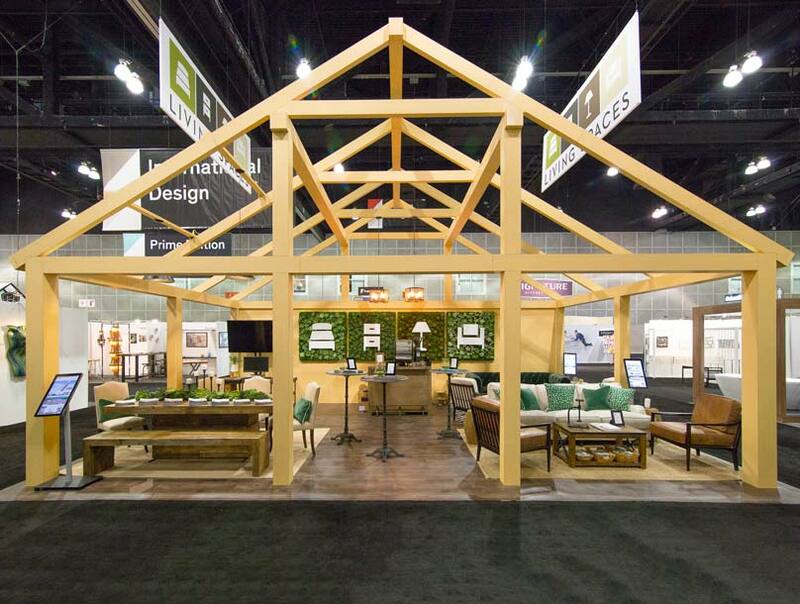 Whether you need a custom build to rent or buy, these trade show booths will leave your audience in awe. 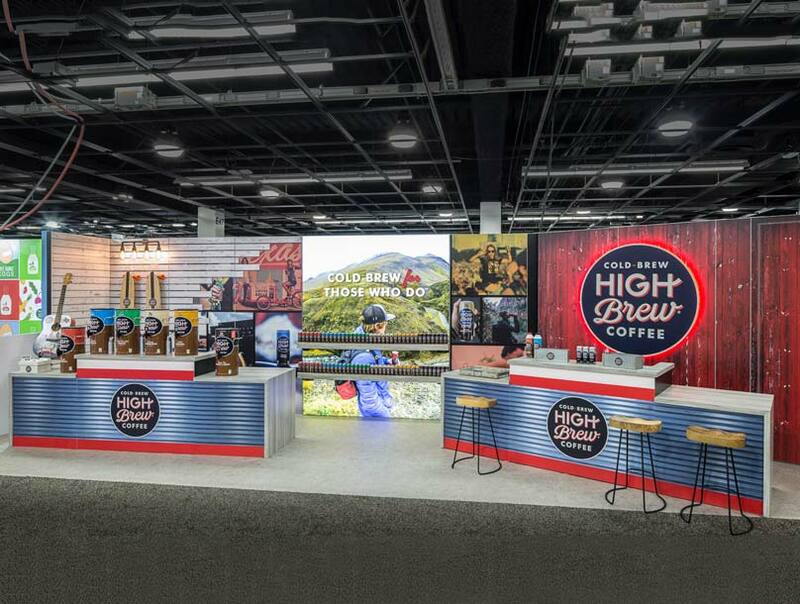 The sky is the limit when designing your customized island trade show booths. With one of the largest rental inventories in the country, we offer virtually unlimited choices of structure and materials. Each island exhibit is tailored to fit your requirements, brand, and budget. Let our exhibit designers show you some of the exciting possibilities. Maximize your tradeshow floor space with a two-story trade show booth from ExpoMarketing’s infinite design options. These immense structures will portray you as an industry leader on the tradeshow floor. Our exhibit design team will create a functional and innovative customized double deck exhibit rental experience that will blow you away! ExpoMarketing is an award-winning exhibit design and fabrication house creating unforgettable brand experiences and relationships on the trade show floor. Our exhibit designers and innovative style will give you the creative edge you are looking for. We offer first rate project management services to give you a relaxed trade show planning experience. Our customer service team goes above and beyond to assist our clients. 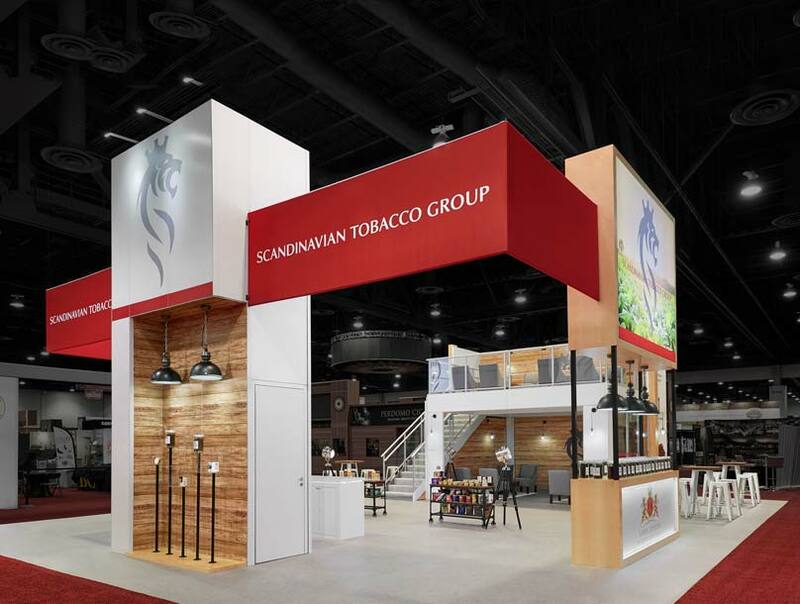 At every phase of the design and fabrication process, we will collaborate with you in order to ensure that your exhibit reflects your ideal brand image. And just in case...we stage all of our trade show booths in our facility before the event so you can experience your booth in person or via video. Is renting a trade show booth right for me? 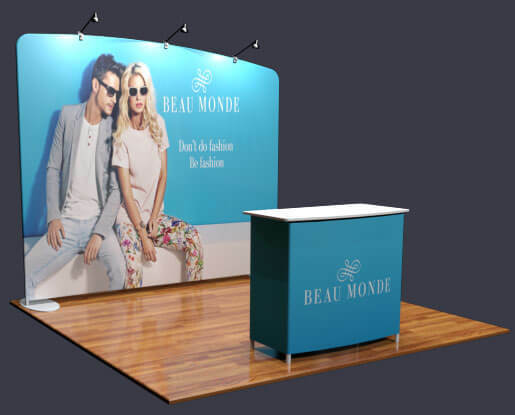 Whether you should rent or purchase your next trade show booth depends on many factors. 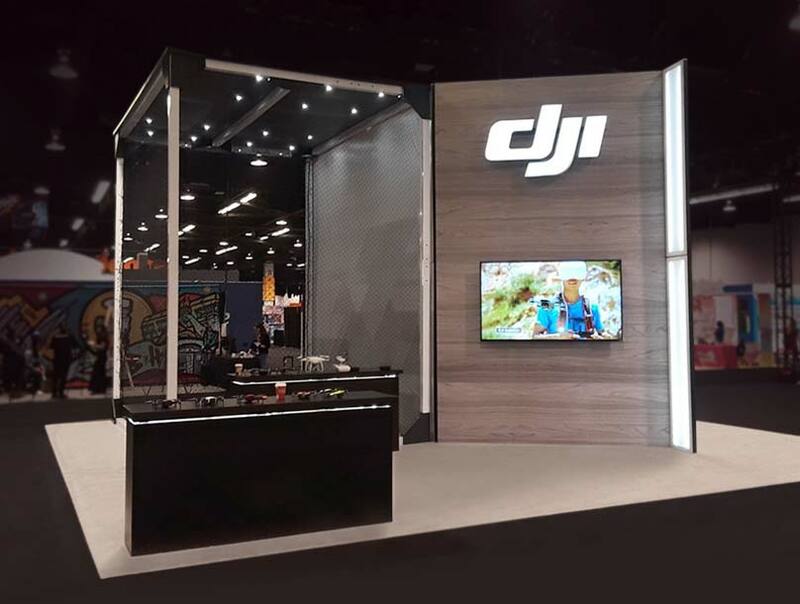 If you want to maximize your budget, trade show booth rentals allow you to get a stunning display that will “wow” your competition for only a fraction of the cost of ownership. Renting also allows you the flexibility to change your floor plan, booth size, and aesthetic as often as you want; and it can accommodate overlapping event schedules. There are no maintenance, storage, pull and prep fees, or disposal costs with rentals; and rentals offer the option to have your trade show event managed for you--saving you the hassle of figuring out transportation, labor, material handling, etc. 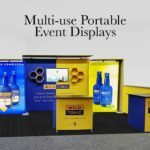 However, there are some cases when purchasing a custom trade show display might the better choice. We can assess your needs and help you find the option that fits you best. “The show (IFEA 2017) was one of our best yet. We cannot thank ExpoMarketing enough for their remote and onsite support! Everything was A+ from start to finish, and Mark (our labor lead) was helpful, communicative, and a total pro. Just add this successful event to our running list of why we absolutely LOVE partnering with the entire ExpoMarketing team. ExpoMarketing is seriously the best." Sample more from our grove of resources! Smarter Designs. Smarter Exhibiting. Proven Results.